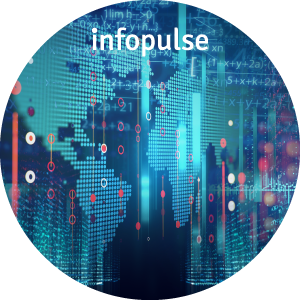 The customer of Infopulse is a US-based market leader in innovative, award-winning software for cloud and big data integration (IPaaS). The company is trusted by over 3,000 global enterprise customers. 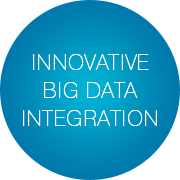 The client was looking for a partner to develop an innovative data integration platform. The requirements were to enable fast development of real-time analytics and big data in the cloud. 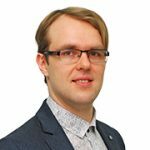 Moreover, the developed solution had to make optimized hybrid integrations with immediate, flexible and protected capacity. The integration platform had to result in improved business productivity for the end-customer. By implementing the best DevOps practices and tools, Infopulse has managed to develop a stable and effective data integration platform with more than 800 connectors and integrated solutions under the PaaS control. The solutions also included a smooth integration of heterogeneous data from various sources and legacy systems, and the integration with Amazon Web Services (AWS) to enhance the response time and decrease the usage of the resources. Faster delivery of features, enhanced product stability and decreased time spent on deficiency fixing and maintenance. Boosted cross and up-sales, new service sales and segment offerings. Eventually, due to the developed solutions, the customer enhanced its value proposition by offering first-class cloud and data integration in combination with traditional applications.